Want to enjoy your own espresso at home? Not sure what machine to invest in? We would like to help. With brands such as Isomat, La pavoni, Rancilio and Nuova Simonelli, we are sure to have what you need. Unsure which one? Contact us today. The Astoria CKXE/Rotary Pump is an automatic espresso coffee machine with professional brewing group and electronically-controlled brewing. 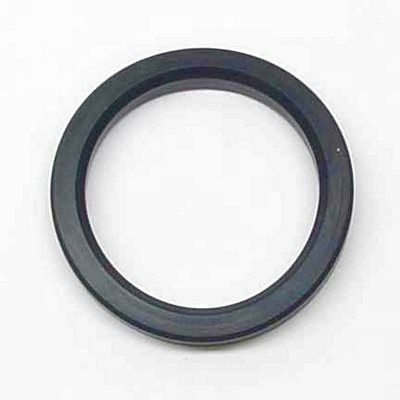 The lever provides uniform and level pressure, making extraction consistent. If you do not have an elevated loading dock or forklift to unload your items from the truck, you will need a liftgate and must select this option before putting the applicable item in your cart. Gstoria’s Gloria SAE line is a professional automatic espresso/cappuccino coffee machine with a volumetric programmable brewing time. Autosteamer option is available 2-4 group models. 4 Group is a special order and is not available in Chrome. This model can dispense 6 different coffee dosages and also comes with an independent semiautomatic override brewing switch. Real max. production capability: 240 espresso servings per hour. Astoria’s Gloria SAE 2 is the automatic espresso/cappuccino machine for the professional specialty coffee retail operator. Chosen for its performance, reliability and quality craftsmanship, it can withstand the demand of the busiest coffee shop or the traffic of a large restaurant. This model can dispense six different coffee dosages from each brewing head and is also equipped with an independent semiautomatic override switch for each group. Real max. production capability: 480 espresso servings per hour. Advanced pre-infusion and thermocompensation group technology. 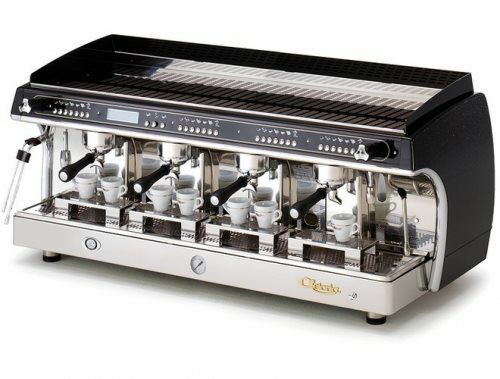 Astoria’s Gloria SAE 3 is the automatic espresso/cappuccino coffee machine for the large specialty coffee retailers. With a large boiler and powerful heating element, it can supply a constant flow of dry steam for the preparation of espresso based drinks in the busiest coffee shop. This model can dispense six different coffee dosages from each brewing head and is also equipped with an independent semiautomatic override switch for each group. Real max. production capability: 720 espresso servings per hour. 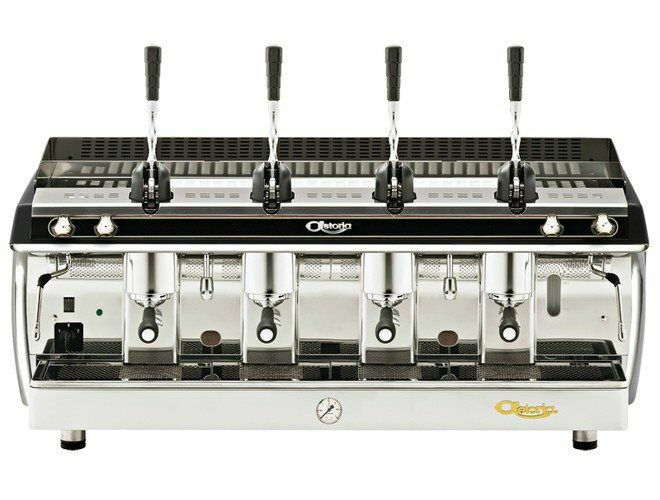 Astoria’s Gloria SAE 4 is the automatic espresso/cappuccino coffee machine for the large specialty coffee retailers. With a large boiler and powerful heating element, it can supply a constant flow of dry steam for the preparation of espresso based drinks in the busiest coffee shop. This model can dispense six different coffee dosages from each brewing head and is also equipped with an independent semiautomatic override switch for each group. Real max. production capability: 960 espresso servings per hour. 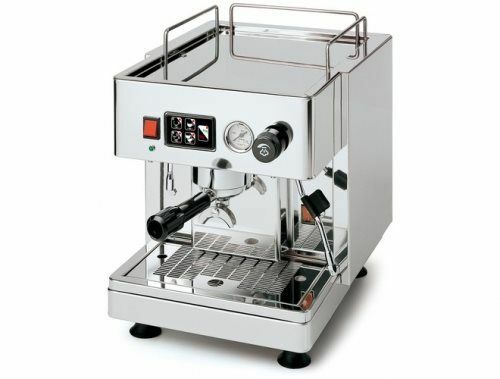 The Gloria AL is a piston (or lever) operated espresso machine. 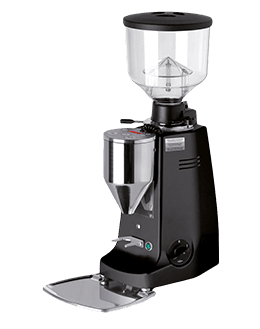 Astoria is one of the few manufacturers of commercial espresso machines to still offer a full line of piston operated espresso machines. These dependable and affordable machines are particularly appreciated by the experts for brewing personalized shots of espresso. Piston machines also find applications in espresso coffee vans, trailers and in areas without electricity. Indeed the Astoria “AL” series can be equipped* with a powerful gas (propane or city) heating system with push button ignition that allows usage of the machine without electricity when connected to direct water.